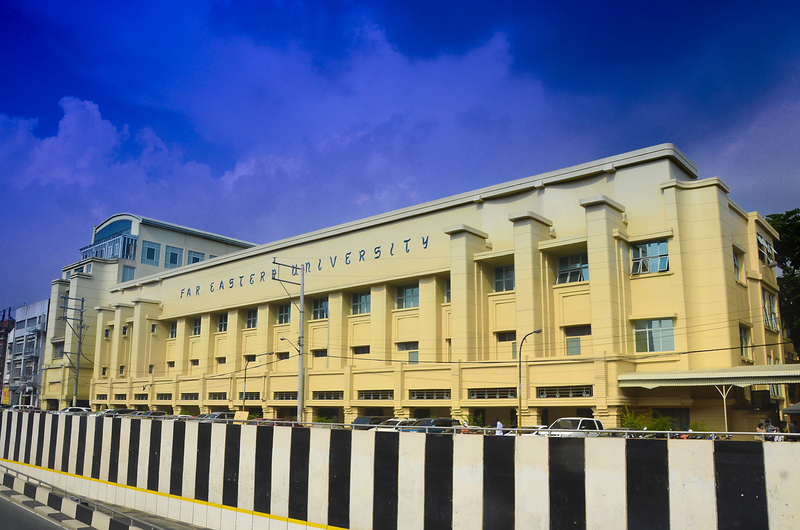 Far Eastern University started out as a dream, born virtually out of its founder’s head, Dr. Nicanor Reyes, in 1928 with the help of a reputed group of educators from the Department of Economics in University of the Philippines. The university practically began life as the Institute of Accountancy that initially offered a three-year program designed to meet the minimum requirements for the certified public accountant examination. In order to respond to the needs of the times, the Institute soon branched out to other fields of study. A year after, it became the Institute of Accounts, Business and Finance (IABF). In November 1933, FEU became a result of the fusion of Far Eastern College which offered courses in the liberal arts founded in 1919 and the IABF which offered courses in accountancy, economics, business administration, and banking and finance founded in1929. Being the first president of the university, Dr. Reyes envisioned a school that would promote the teaching of accounting to Filipinos. The 30′s and 40′s became the building years of FEU. When the Pacific War broke out, the FEU campus became the headquarters of the Kempetai, right in the heart of Manila. Aside from burning and destroying the university records and facilities, the enemy forces also took the life of the great founder and some of his family members. Though bereft of its founding president, the university reopened in 1945 and ran by eminent educators as presidents-Dr. Hermenigildo Reyes, Jaime Hernandez, Dr. Francisco Dalupan, Clemente Uson, Dr. Leoncio Monson, Belen Enrile-Guitierrez, Dr. Vidal Tan, Dr. Teodoro Evangelista and the founder’s eldest son, Dr. Nicanor Reyes, Jr.
After embarking on a massive expansion program of physical plant and facilities to accommodate its growing student population and to cope with the demands of modern, relevant education for a developing country during the post-liberation years, FEU also geared towards elevating the level of academic excellence by advanced instruction and professional training to qualified students by establishing the Institute of Graduate Studies. Various curricula were also reviewed which paved the way for new academic programs. According to former FEU president Lydia Echauz, DBA, the university is a premiere university in the country. It is a university of choice among high school graduates because FEU has had long and rich history in education, culture, arts and sports, she enthuses. In addition to academic excellence, the university strives to impart a well-rounded education by providing alternatives to students. And with the pronounced effort to upgrade the faculty, the research program, and the physical plant, the university climbs further towards quality education. For the past years since its founding, FEU has produced business tycoons, ambassadors, justices of Supreme Court and other judicial bodies, technocrats in private and government sectors, finance wizards, acclaimed physicians, nurses, educators, theater and media luminaries and so many others in different fields of expertise.